There are few opportunities to capture the natural majesty of Orcas Island that are better than a kayak tour or boating trip in the waters of Puget Sound. 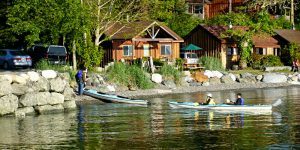 Orcas Island hosts numerous marinas, kayak rentals and whale watching expeditions that are all available in season for single, double, and family excursions. Travel around Orcas Island on a charter cruise or take a whale watching tour with experienced guides and refreshments. If you’re planning on having your special day by the water, then consider chartering a wedding cruise from one of the touring services. Boaters have plenty of opportunities to enjoy themselves in the San Juan Islands. 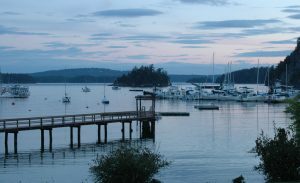 Several marinas can be found across Orcas Island, including the fully stocked Deer Harbor Marina and the picturesque Rosario Resort Marina. Several resorts are located right by the water and provide their own docks for visitors and customers. 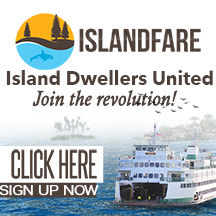 Come enjoy the San Juan Islands of Washington State! CLICK HERE for more boat options. CLICK HERE for more marina options. CLICK HERE for more whale watching opportunities. West Beach Resort is located on the sunny and pristine west side of Orcas Island, Washington. 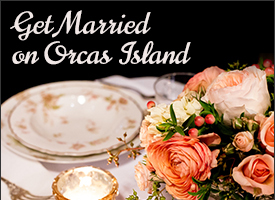 We are a private destination resort specializing in providing guests with an authentic San Juan Islands getaway. We have been an Orcas Island lodging and hotel destination since 1938. Stay in our fully-equipped beachfront cabins & cottages on our world class walk-out, west-facing, sand/pebble beach and watch the sunset as you relive the day's adventures from your private beach fire pit. Spice up your sailboat or yacht with custom built, made to order teak wood furnishings from Cruising Concepts. We've built companionway doors, tables, boarding ladders, even interior entertainment suite furnishings. Our specially crafted teak products include custom design options and accessory kits. Call Cruising Concepts today at 360-376-2975 and see what options are available for your pleasure craft. Sailboat, rigid-hull inflatable, and powerboat charters. Reserve a Day Charter, Sailing the San Juan Islands, on the Classic Wooden Sloop, "Aura", a Northwest treasure. Her classic beauty, roomy cockpit, and steady speed make her ideal for day sails in the San Juan Islands. The Aura sails from Deer Harbor on Orcas Island. Steer and pull lines as much as you want. Instruction and longer trips are also available. Crewed sailing charters throughout the San Juans, Gulf Islands, the Inside Passage, Desolation Sound and the Great Bear Rainforest. 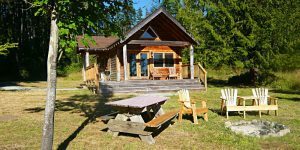 Protected and convenient location in Deer Harbor on Orcas Island. Permanent Moorage in the San Juan Islands. Morning and afternoon guided sailing tours. An adventure on the water awaits you! We look forward to meeting you, and welcoming you aboard the sailing vessel Tomahawk. We are family and kid friendly, or can cater to a romantic evening for two. Crabbing, fishing, and hiking are available for the adventurous. Three hour Day and Sunset Sails offered daily. Departures from Deer Harbor, Friday Harbor and Roche Harbor available. Six day sailing yacht adventure or twelve day wilderness trip by land and sea. Kayakking also available. Full service marina with store, overnight lodging, rental cottages. Also kayak, motorboat,and sailboat rentals available.